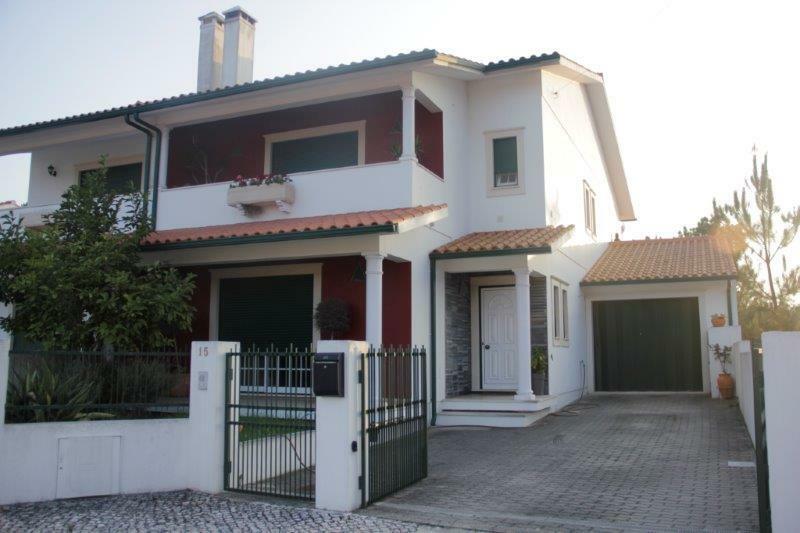 Excellent villa with SPA located in Moita (Marinha Grande), inserted in a land with 409 m2. 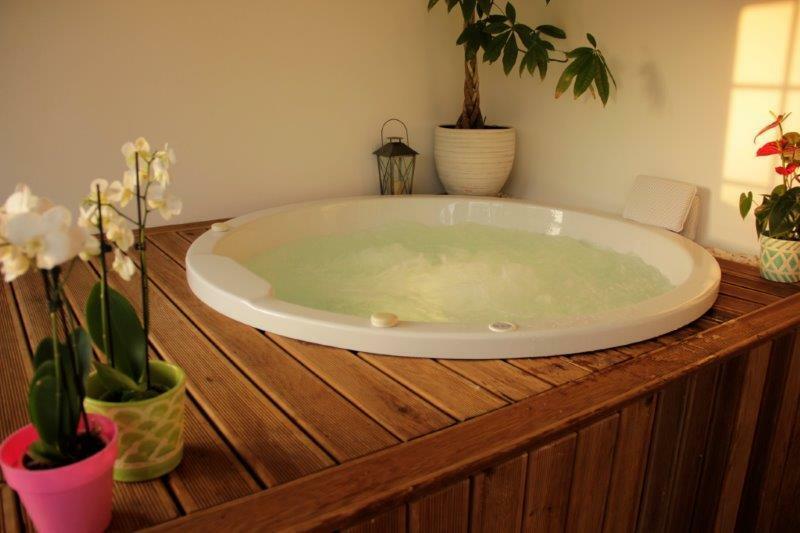 Consisting of 4 bedrooms, one of them being a suite, living room, kitchen and three more bathrooms in which two of them have booths of hydromassage of brand Roca and the other with bathtub of brand Roca hydromassage. The first floor of the villa is on pine wood floor. On the ground floor is the kitchen in beech wood, dining and living room, pantry, office, 1 WC, SPA area, laundry and garage. 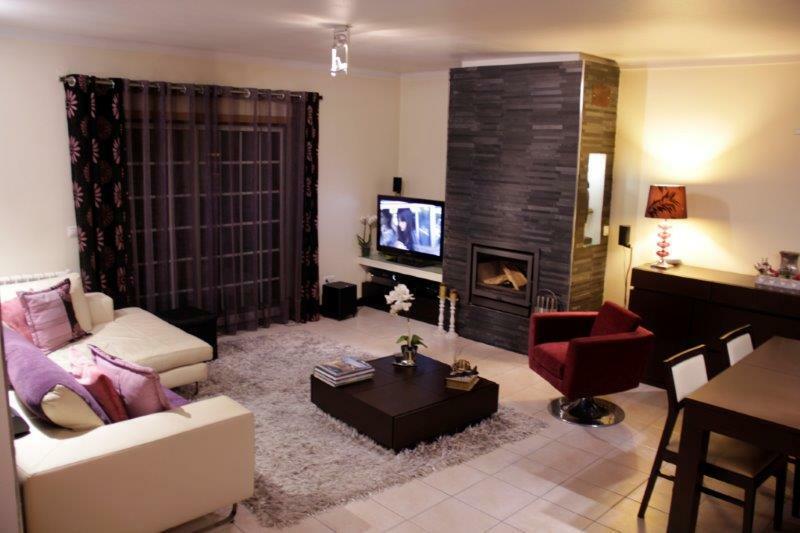 On the 1st floor we have 3 bedrooms, one of them being a suite with balcony, 1 bathroom. Two of the bedrooms with excellent built-in wardrobes. Outside we have attached with barbecue wood oven, storage, garden area and orchard area, with some fruit trees. 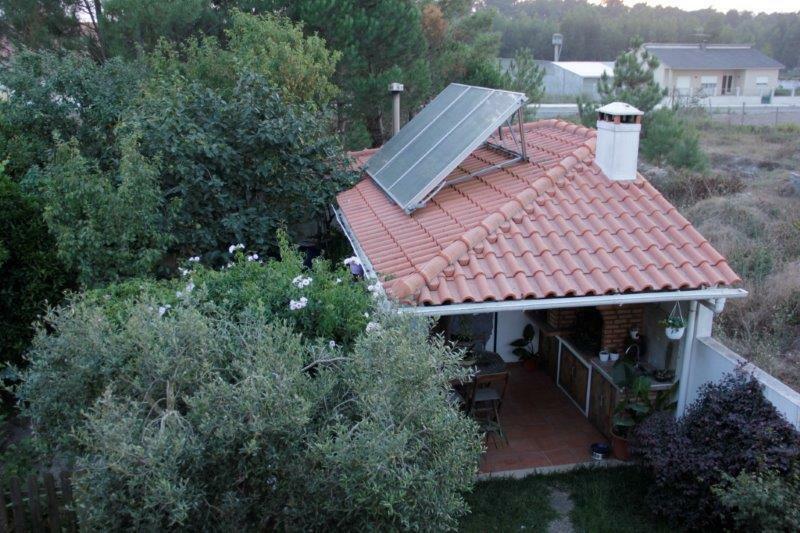 The villa has energy class A + (ADENE), double insulated walls, insulated attic, has aluminum frames with double glazing, solar panels with hot water tank of 300 liters, air heat recuperator, central heating with two boilers, a biomass (pellets) and another gas wall boiler. It has automatic entrance gates and garage. Located in a quiet area, but with quick access to the A8 and A17 motorways, public transport and close to beaches. Come visit this excellent property !!! Price negotiable !! !